It wasn't a mistake: There were three Greenwoods in the counts. And eventually, the same three Greenwoods will appear in the payouts. 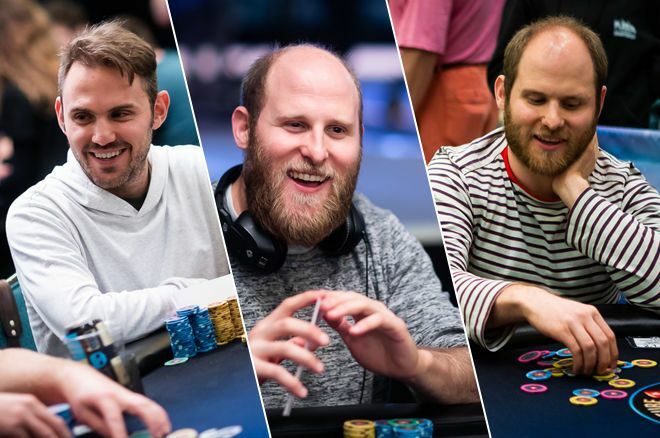 The brothers Greenwood - Sam, Luc, and Max - have all had high levels of success in poker, combining for $16.7 million in live cashes between them. While Sam and Luke continue on the full-time grind though, Max has mostly left the game behind for the past 2.5 years. 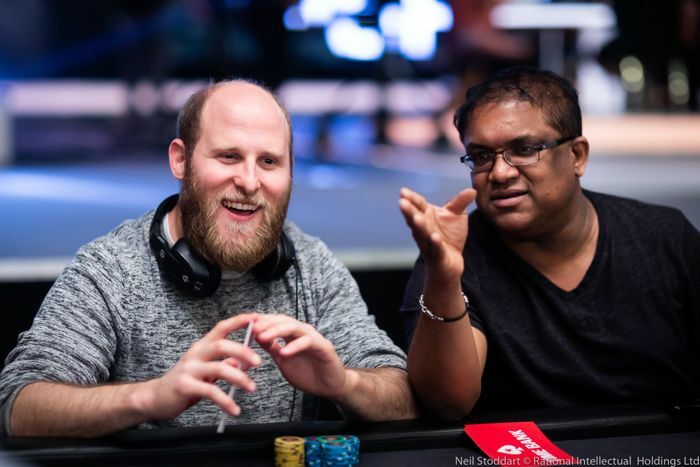 Here in the $25,000 buy-in PokerStars No-Limit Hold’em Players Championship, the three are reunited for a rare tournament, and the family is putting together a solid run. The three brothers all made it to Day 3 with 207 of 1,039 players returning and 181 in the money. Once the bubble burst in the third level of the day, the brothers assured that the Greenwood name would appear three times in the payouts before the tournament came to a close. We chatted with all the brothers on the second break of the day. Unfortunately for Luc, he would be the first Greenwood to hit the payout desk, in the fourth level of the day. “I was pretty short all day and didn’t really have many spots, so it’s okay,” Luc said of his min-cash. Though a bit early to get too excited about the familial deep run, Luc was proud of how Max was handling his return to live poker. The three brothers have been talking hands via text throughout the tournament and, as would be expected, they all swapped some action. Luc, who is now relegated to watch from the sidelines, is hoping his siblings can add a large sum to the $14,500 profit he notched for his 98th-place finish. And while he would have liked to go further, he’s glad he at least cashed and at least he still has a sweat (two, actually). Luc Greenwood (left) finished 98th in the PSPC. And then there were two. We asked them about the experience of all making the money, and about Max’s foray back into the game in the form of a $25K. For Sam, it’s nice that they all made the money, but it’s hard to get too pumped yet with the “big money” still a ways off. For Max, the decision to come out of retirement for a one-off in the PSPC isn’t too hard to explain. The WSOP bracelet winner with $2 million in live cashes to his name has been spending the last several months hanging out and doing some traveling with his now wife. 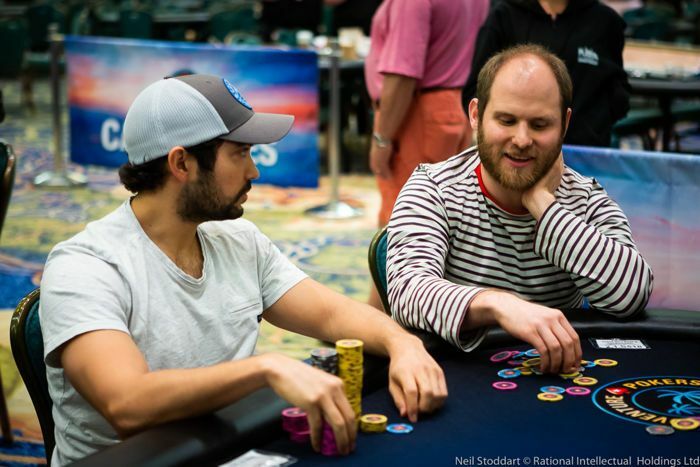 Max Greenwood returned to poker to play in the $25K PSPC. At their cottage with the family over Christmas, Sam was taking a well-needed break from the game, while Max was diving back into the game he mostly got out of more than two years ago. In preparation, Max played two online sessions and did a bit of studying that included watching videos and studying some charts. “There’s just way better information out now than when I was playing,” he said. “Max has been asking me and Luke for check-ups because he’s a little rusty and that sort of stuff,” Sam added. As the tournament goes on, Max feels the rust is already falling off as the game comes back to him. It may be a bit early still, but the family has already guaranteed a profit, with two horses left and $5.1 million up top. 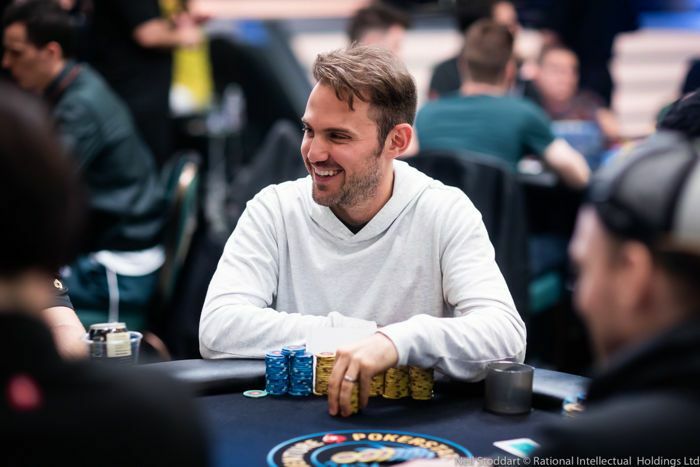 Sam Greenwood has cashed for more than $12.7 million in his live tournament career.